DaliPhone is a downloadable application installed on the Android phone and Apple iPhone, and it can be be purchased online by clicking the link of Play Store or App Store. Its interface is made up by the Lighting module of DaliSuites. The standard model is 5-room, and the default room names are Room 1, Room 2, Room 3, Room 4 and Room 5. The user can change the room name to suit his/her preference for easy recognition. Other room models are available upon request. DaliPhone is designed to control the luminaire and device (such as, outlet or sunblind) by sending commands to DaliHub through local Wi-Fi connection. Its Plug-and-Play capability can automatically discover the IP address of DaliHub without the need of physical device configuration, and thus no manual searching is necessary. 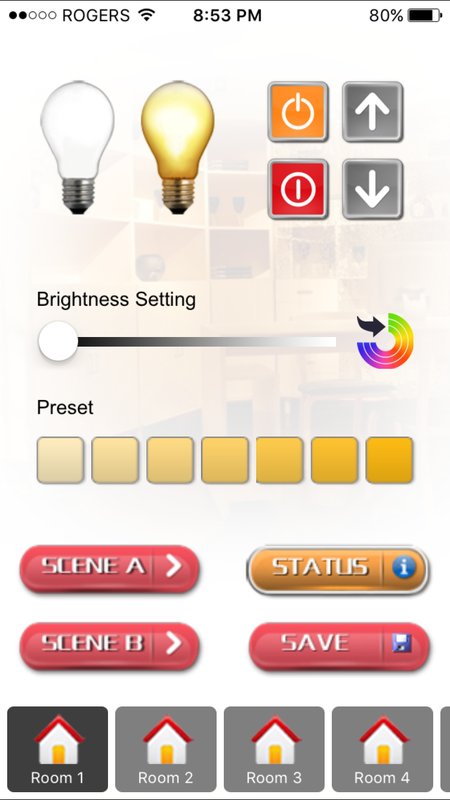 Personalized setting of light levels and two scenes are convenient and user-friendly. Seven preset light levels have been programmed, and furthermore any light level can be adjusted by scrolling the slide bar. Tunable white luminaires with color temperature from 2700K CCT to 6500K CCT can be set and saved to the scene. 1) Total 5 rooms can be controlled. 2) Each room has 3 individual groups each for luminaire, outlet and sunblind. 4) Slider bar adjusts light level from 0% to 100% and color temperature from 2700K CCT to 6500K CCT. 5) 7 preset light levels can be selected. 6) 2 lighting scenes can be saved and recalled. 7) Query the status level of group member. For details, please refer to below 2-way communication. 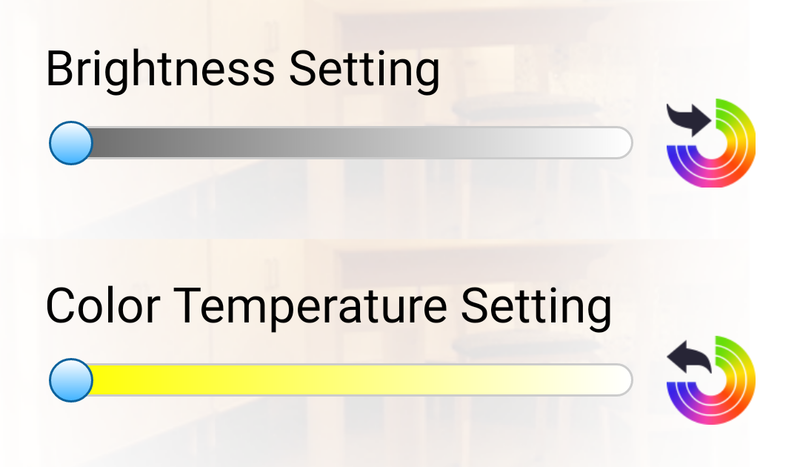 When DaliPhone is in tunable white mode, the slider bar changes its color from gray/white to yellow/white. 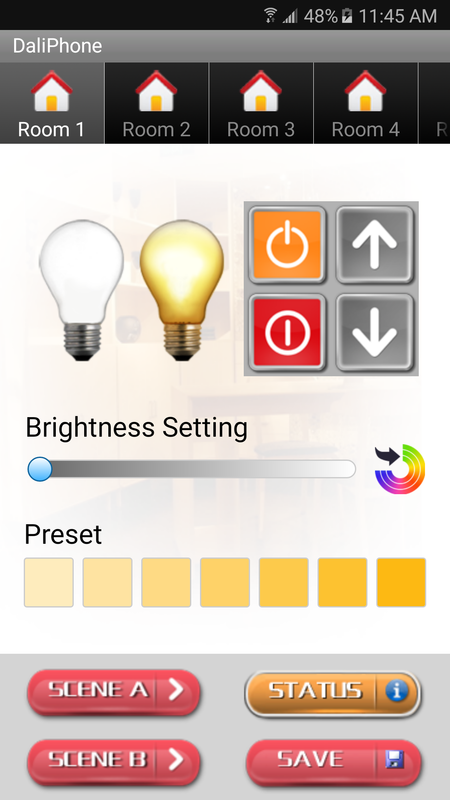 Now the user can choose the color temperature from 2700K CCT to 6500K CCT. The working principle of tunable white luminaire is based on the DALI device type 8 (Color control), which is stipulated in IEC62386-209:2011. Inside the luminaire, the tunable white LED module is made up by two separate LED strings. One string consists of 2700K CCT lamps, and the other string consists of 6500K CCT lamps. By individually adjusting the light intensities of those two LED strings, desired color temperature can then be achieved. The 2-way communication with the luminaire or device can be done by pressing the Status button. A request command is sent out to the selected luminaire or device, which will respond to the request by returning its status. The status information displayed will be from 0%-100%. 0% means fully OFF, and 100% means fully ON. 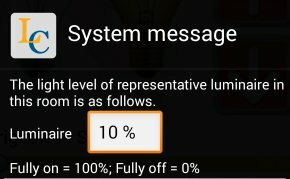 The dimmed light level will be displayed as a percentage according to the logarithmic scale stipulated in IEC62386.